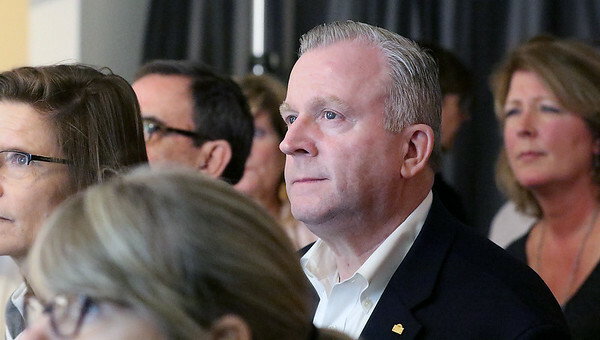 H. Rick Bamman - hbamman@shawmedia.com Cary Mayor Mark Kownick with supporters watch election results come in Tuesday, April 4, 2017 at the Linda Barrett Productions Studio in Cary. 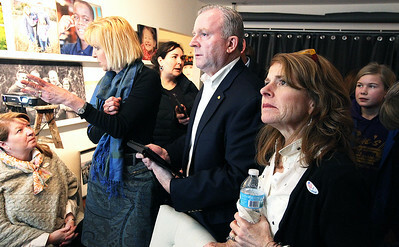 H. Rick Bamman - hbamman@shawmedia.com Linda Barrett (left) speaks with Cary trustee candidate Christine Betz, as Mayor Mark Kownick and his wife Shannon Kownick watch election results come in Tuesday, April 4, 2017 at the Linda Barrett Productions Studio in Cary. 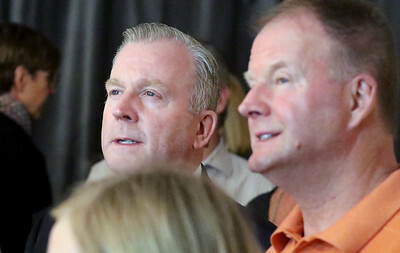 H. Rick Bamman - hbamman@shawmedia.com Cary Mayor Mark Kownick (left) watches with supporters as results come in Tuesday, April 4, 2017 at the Linda Barrett Productions Studio in Cary. Linda Barrett (left) speaks with Cary trustee candidate Christine Betz, as Mayor Mark Kownick and his wife Shannon Kownick watch election results come in Tuesday, April 4, 2017 at the Linda Barrett Productions Studio in Cary.